The U.S. Holocaust Memorial Museum seeks original artifacts and names of survivors to teach the lessons of the Holocaust. 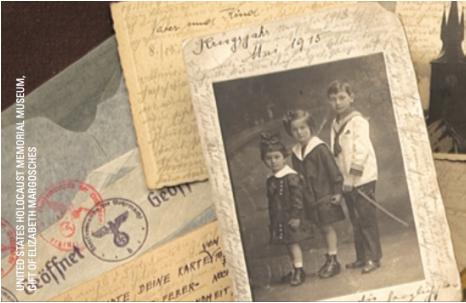 If you have information that may be of interest to the collection, please view "Preserving History: One Person at a Time" or contact the curator at curator@ushmm.org.